While the migration to the Western Cape from other parts of South Africa has slowed, there is continued demand for property in the province from foreign buyers. It is well-known that property in the Western Cape has seen phenomenal growth in the last couple of years. 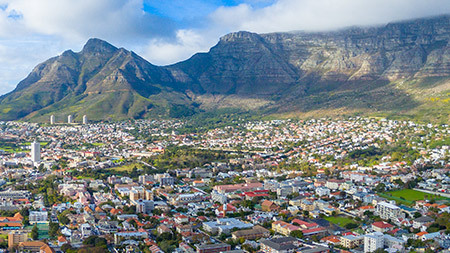 But, while there seems to be signs of a slowing ‘semigration’ trend (which accounted for a large proportion of this growth), Lightstone Property recently announced that the number of foreign property investments in the Western Cape has increased by 4% in January 2018 – a trend that spells ongoing hope for this booming market. “One of our most recent sales in the Western Cape was made to a US resident who plans on immigrating to South Africa. Our RE/MAX Living office sold the investor a R14.5 million, 5-bedroom property in Higgovale, Cape Town,” says Adrian Goslett, Regional Director and CEO of RE/MAX of Southern Africa. According to a 2017 Prime Global Cities Index, the Cape’s luxury residential property market ranks third in the world in terms of climbing investment value. While the city bowl and Atlantic Seaboard is already renowned for this, little has been said about some of the other appealing suburbs in the Western Cape. Some of the smaller, tourist-friendly destinations have picked up on the vibrations created by the buzz around the Mother City. Foreign investors who want a piece of one of the most desirable cities in the world have started to broaden their search for investment opportunities. Earlier this month, a German investor purchased a three bedroom, single-story home marketed at R5.4 million in Arabella Country Estate in the trendy holiday town of Hermanus. “In our experience, foreign buyers tend to be attracted to lifestyle estates in these areas, especially those where there are many other foreign owners. Arabella was developed by European investors which resulted in approximately 20% foreign ownership,” says Johann Larney, Broker/ Owner of the RE/MAX Town and Country office that operates in the Hermanus area. The reason these kinds of lifestyle estates appeal to many foreigners is the quality of life that they offer. “Most of the foreign buyers in this estate are generally ‘swallows’ who only stay for the summer holidays. But, eventually, some 10% of them seem to retire to Arabella,” Larney explains. According to Larney, location is another prime factor that plays into attracting this foreign market. These investors are not just looking to make money. 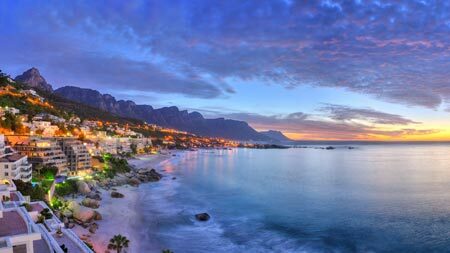 Many of them have been sold on the Cape Town lifestyle, and purchase property with the intention to relocate and make the most of the breathtaking scenery that the Cape has to offer. This is best exemplified by a recent sale made by the RE/MAX Eden office. Bought solely for its location near the beach and within easy access to the Wilderness Village, a German investor spent R7.25 million on a property on Sands Road in Wilderness with the intention to demolish the property at a further cost of between R350,000 to R500,000, and to rebuild thereafter. Interestingly, it is not just large sum investments that are attracting foreign buyers. RE/MAX Valley Property, an office that operates in the Riebeek Kasteel area, recently made a sale of R1,250,000 in an apartment complex in Riebeek West. The purchaser, who intends on using the 2-bedroom duplex as a means of rental income, was a South African emigrant who now resides in Australia. “Over-pricing based on recent market-gains is one of the most common pitfalls sellers make in our area,” says Larney. Sellers need to be aware that there is a market for lower-end foreign investments, and properties that are marketed at similar price-points to the CBD and Atlantic seaboard are likely to remain on the market for longer than necessary. 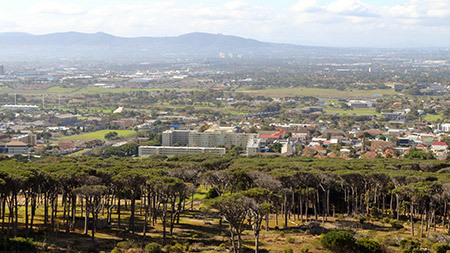 “Many areas outside of the heart of the Mother City are gaining the attention of the foreign market, but these areas are still steadily growing in value, and sellers need to ensure that their price point does not exceed that growth curve if they want to cash in on this trend,” Goslett concludes.